Dr. Bill Dean and Dr. Kate Goulbourn use only leading-edge diagnostics and treatment technology to ensure the best treatment results for your pets. 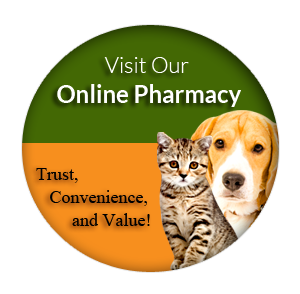 You and your pet deserve the convenience of comprehensive onsite diagnostics and a full-service pharmacy so you don’t have to travel or wait for prescription medicine for your pet. For your peace of mind, North Valley Pet Hospital offers truly comprehensive cat and dog vet services to make sure your beloved companion receives the best possible care. For information or an appointment, call us at 928-768-8387. You can also use our online Portal and Online Scheduling link to arrange your appointment. Our service area includes Needles, Laughlin, Mohave Valley, Bullhead City, Fort Mohave and nearby communities.